Lately we've been seeing a lot about the Nikon Df. 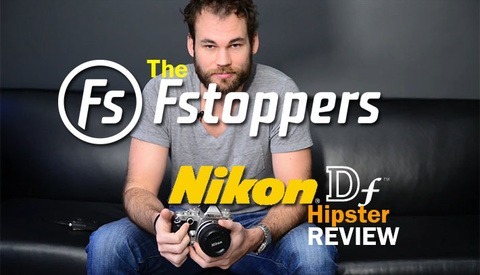 Everything from Lee Morris' Nikon Df Hipster Review to Chase Jarvis' First Impressions, and it seems like the early popular opinion has judged the Df as lacking. 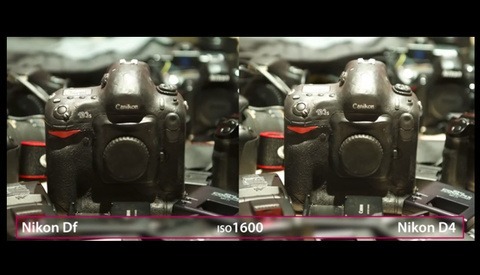 Adding to the growing list of underwhelmed reviews is this video from DigitalRevTV as they compare how the D4 sensor performs in both the Df and D4 models. What Is The Difference Between a Parabolic Reflector, a Beauty Dish, and an Octobox? 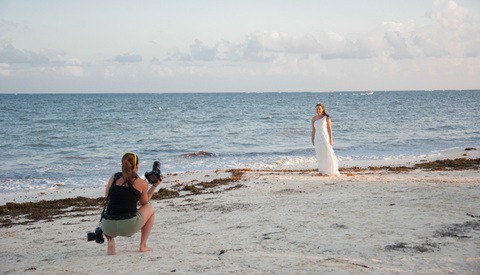 When it comes to shaping the light sources photographers use, there are a lot of modifiers available. 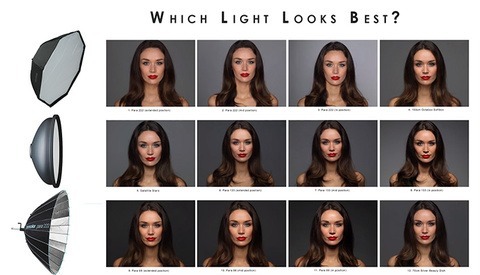 Each lighting modifier has it's own characteristics which can make it difficult to determine the best light for your project. Karl Taylor has produced one of the best videos I've ever seen showing exactly how the light fall off, contrast, and specularity differs between the parabolic reflectors, beauty dish, and large octabox softbox. For years, medium format cameras have been stuck with digital CCD sensors that are poor-performing at high ISO's because creating medium format CMOS sensors was prohibitively expensive. Well, that has all changed now. 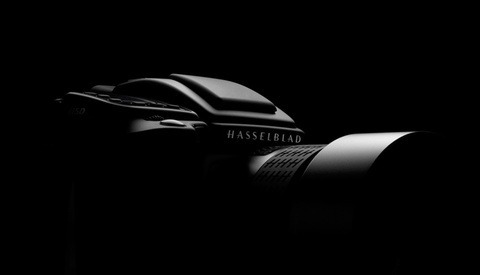 Hasselblad teased their new CMOS medium format camera earlier this week, but today Phase One announced their new CMOS digital medium format back and not only is it ready to ship on Monday, but it already looks like it will be a class dominator. Cranes can add that extra bit of "oomph" to a video, giving it that one extra piece to make for compelling and dynamic footage. If you saw Patrick Hall's review of the Rhino Slider, you probably noticed some footage from a crane in there too. 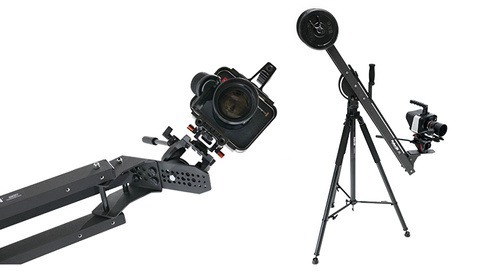 Pro Am just announced a new $300, 12-pound, 3-foot crane that can support a camera rigs up to 20 pounds and manually tilts cameras up to 10 pounds. Before I heap on the apologies, I do want to say that I get sent a lot of gear. Gear that varies in required skill level, genre of photography and purpose. I've reviewed a lot of equipment over the years, and eventually I was bound to make a mistake- I'm pretty much the furthest thing from infallible. Well it happened, and I'm sorry. My initial review of the Fotopro tripod was negative due in most part to, you got it, user error. About two months ago, I posted a highly controversial post called The Nikon Df Represents Everything Wrong With Photography. Even though I completely stand behind my original article, I began to wonder if I had not given Nikon's newest DSLR offering a fair chance. Today I decided to take the Nikon Df out into the real world and not only test it's photographic capabilities, but also hear what normal people had to say about it. The new Nikon Df retro styled camera is rustling the feathers of the photography world. People seem to either love it or hate. 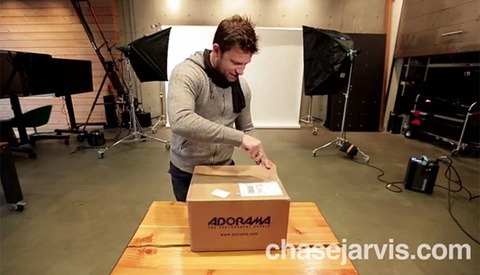 Today Chase Jarvis unboxes Nikon's newest offering and gives his first impressions. Could the Nikon Df DSLR be the ultimate travel camera or is it just another alternative to the modern DSLR? Hasselblad, who hasn't done a heck of a lot of innovating in the past few months, might finally have something worth talking about. 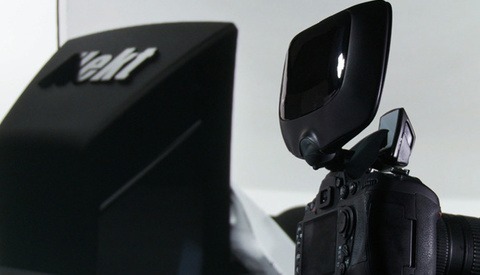 They announced that they are working on the world's first 50 megapixel CMOS sensor back for their medium format cameras, rather than the CCD format previously used. 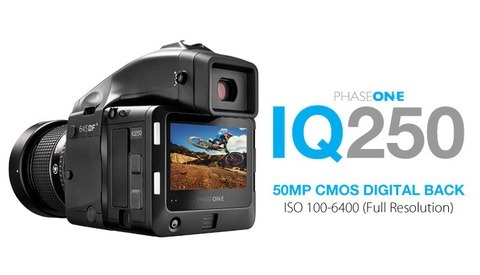 This means faster capture rate, longer shutter speed capability and much greater ISO performance. 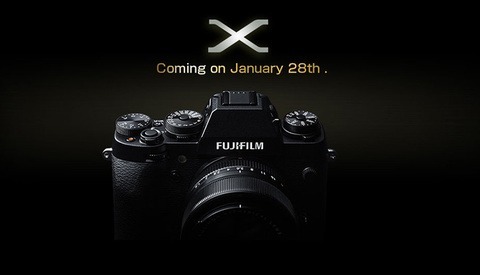 The first ad for the new Fuji X-Series camera, the X-T1, greeted Japanese commuters today. As they were picking over the detail, a host of leaked images showed up online simultaneously, which provided unequivocal proof that this was the much discussed and touted X-T1. If all these specs stack up, this camera looks set to cause quite a stir. Blackmagic Design let loose today that “Me+Her,” a live action short film premiering at the Sundance Film Festival, was shot on the Blackmagic Cinema Camera (MFT) and Pocket Cinema Camera. This is good news, as it shows that there are those in the industry who are embracing the relatively new bodies. Take a look at some stills from the movie, as well as behind-the-scenes images from the set. 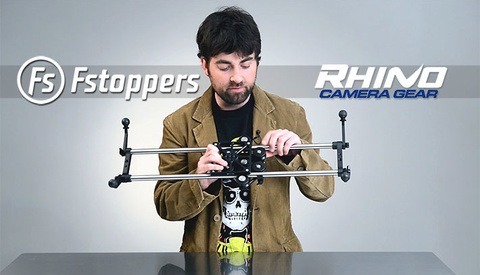 Could The Rhino Slider Be The Best DSLR Video Slider On The Market? In the photography world it is all about lighting, lighting, lighting. For videographers the main emphasis is not necessarily lighting as much as it is motion. Perhaps the easiest and most affordable way to add motion to your DSLR video is by using a slider. In this video we take a closer look at the Rhino Slider and why it might be the best sub $800 slider on the market. Shooting events is like running a marathon, it often feels like it's never ending. At the end of the day you are sore, dirty, and you may have blacked out for a portion of it from dehydration. 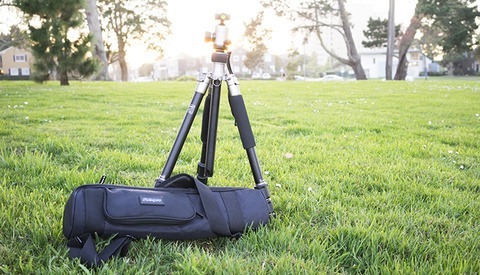 Using an ergonomic camera sling for one or both cameras is a great solution for saving your neck and back and also keeping your cameras secure on your body. This is a no-brainer investment if you are an event shooter and may change your life if you haven't been using one. 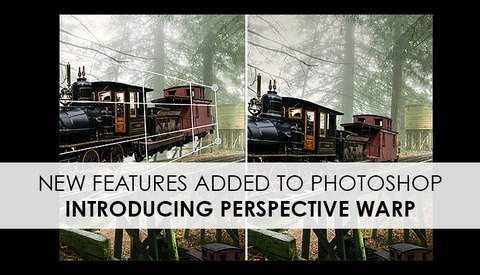 Adobe Updates Photoshop With Three New Features, Most Notably "Perspective Warp"
The Adobe product manages and developers that I have spoken to praise the new Creative Cloud process mostly for the ability to instantly update users with new features and stability enhancements. While we have seen a plethora of updates that mostly contain "bug fixes" over the past few months, Adobe has finally given us three new features for Photoshop to get excited about: 3D printing integration, linked Smart Objects, and what is most interesting to photographers, Perspective Warp.